DWY updated today - giving us a first glimpse at the leaderboard. No RuckusGuy up top of the list, but surprisingly no cheaters either necessarily. 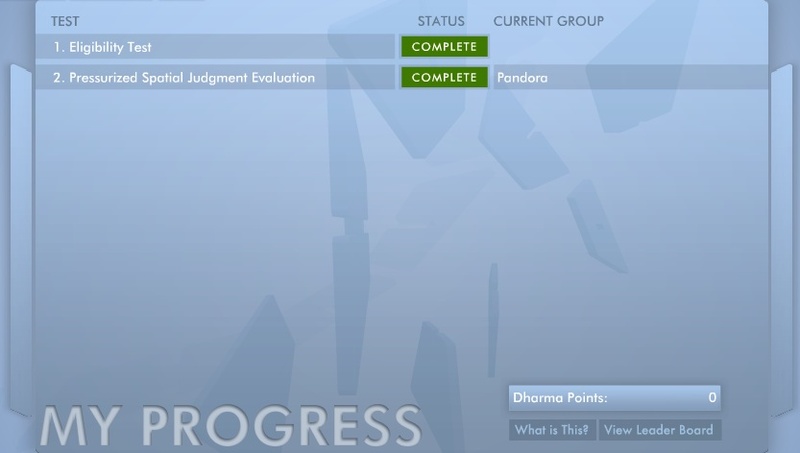 See most of us woke to realize that we have actually no Dharma points - and then of course I remembered what the site said about points being given out for EXTRA tests set by Hans Van Eeghen and for recruiting new people. So those on the leaderboard will be the ones who recruited a mate to the cause, bagging themselves 10 points a head. I'm actually glad, even though I recruited no-one; I like that the competitive leaderboard means nothing. I'm not a big fan of glory hogging or the ostentatiousy "be the best" mantra, anyway.